I may be lazy but I still try to blend smoothie or juice fruits based drinks for the both of us. 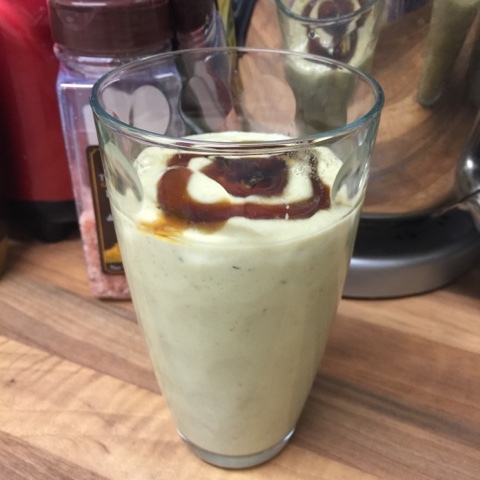 One of our favourite drink for now is the avocado smoothie. It's a mixture of yoghurt, avocado, spring water and honey. I don't normally add sweetener for my drinks but I do whenever I blend pure avocado drinks. Do give this a try. It is yummy. I mean it when I say yummy (I don't eat avocado fruits).